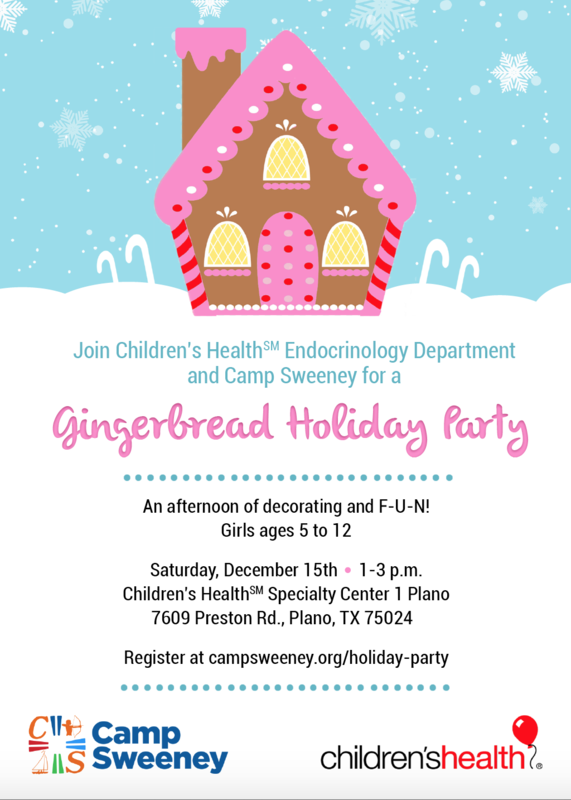 Join Children’s Health Endocrinology Department and Camp Sweeney for a Gingerbread Holiday Party! This afternoon of decorating and fellowship will be F-U-N to the M-A-X! When? 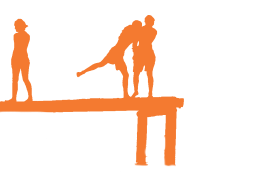 Saturday, December 15th, 1 – 3:00 p.m.
Where? Children’s Health Specialty Center 1 Plano. 7609 Preston Rd. Plano, TX 75024. To spread the holiday spirit, we will be participating in a toy drive! If you are able, please bring a new, unwrapped toy that will go to a child in need. Number of children who will be participating.